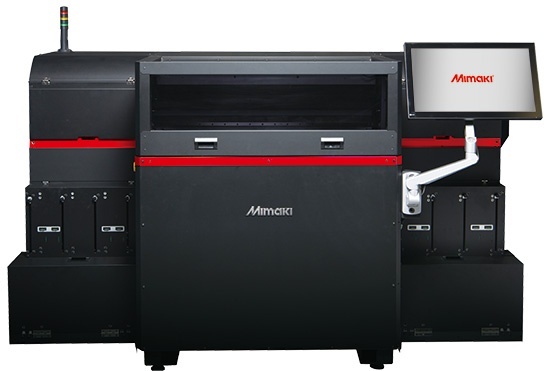 Mimaki Engineering Co., Ltd. (Mimaki), Headquartered in Nagano Prefecture, Tomi City; President, Kazuaki IKEDA, announced today the release of [3DUJ-553], in November 2017, a 3D full-coloring printer by UV LED curable inkjet system, enabling the full color modeling of over 10 million colors. The 3D printer market growth continues to spread globally upon commencing from North America and Europe and its application is mainly entered in manufacturing industry and then penetrating to education, construction and medical business segment. Mimaki 3D printer [3DUJ-553] has achieved the full color modeling with the capability of the world's first (*1) over 10 million colors based on our technology of hitherto developed 2D inkjet printers of professionals use. Our rich color expression of [3DUJ-553] is better suited to create a final product such as real object sign or building model, of which an extra coloring has been difficult after the completion of modeling. Applying UV curable ink curing by UV light irradiation, [3DUJ-553] enables 22μm of minimum layer pitch for the high reproducibility of model detailing, to lead the creation of exquisite 3D product with its elaborate finishing. Furthermore, by the adaptation of water soluble support material ink, damages of very sensitive design object will not occur at the removal of support material. Toward Sign graphics market and Industrial products market that Mimaki has led as an innovator of inkjet printer technology, we will keep offering a business proposal with the very appealing 3D printer [3DUJ-553], having astonishing color expressive power and modeling technology. 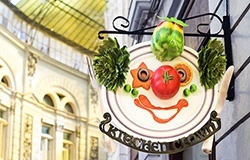 Object signage by 3D printer is considerably effective to be remarked and understood easily with its presence by the combination of realistic 3 dimensional motif and 2D image. [3DUJ-553] can express by more than 10 million different full colors and as well enhance the color reproducibility with the color adjustment employing the color profiles. 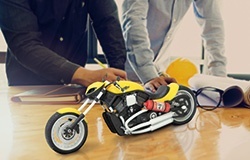 [3DUJ-553] can satisfy professionals exacting requirement to make full color and fine modeling of strong preference into the details and final products, for example, figure, 3D map and mock-up. And the post processing like over coating and attachment of screws is also able to apply to an object after modeling. Usability in pursuit of "easy fabrication"
3D printer [3DUJ-553] employing the [UV curing inkjet method], which performs modeling with UV ink (C, M, Y, K, White, Clear) printing, curing and piling layer by layer. Coloring is not by post processing but modeling while using color inks, which can produce an object of exquisite full color representation. Modeling by a simultaneous print with color ink and support material ink of sliced data of 3D object. Modeling by color ink (CMYK,White,Clear) can achieve 84% of the Fogra 39L color gamut and cover 90% of SWOP gamut. 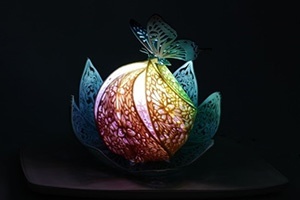 According to modeling by color ink with high transparency, the outside light reflects on the surface of white ink layer, which will present a good colored modeling on the background of white layer. Color profile is employed to enhance color reproducibility. 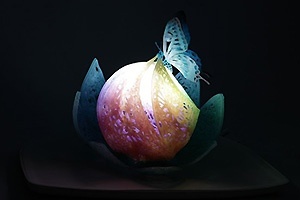 It is the world's first technology (*1) as an inkjet method 3D printer to apply color profile. By implementing a color simulation profile created by [MPM3] (option) to Adobe Photoshop, the color to be printed will be able to check on a PC monitor. The color of object displayed on the monitor can be approached to the object itself. It is effective to reduce the working time for color adjusting. 4) More flexible in designing with full color ink and clear ink ! Besides transparency, clear ink can make a color expression of translucency by the simultaneous apply of clear ink and color ink. Clear ink gives an additional effect to show a different image when the object is lighted from its inside. The combination of clear and color ink will broaden the design range. Without the transmission of light, the contour of object is shown clearly. With the transmission of light, a fantastic atmosphere appears. The color ink layer over the clear ink can create the expression of color translucency. 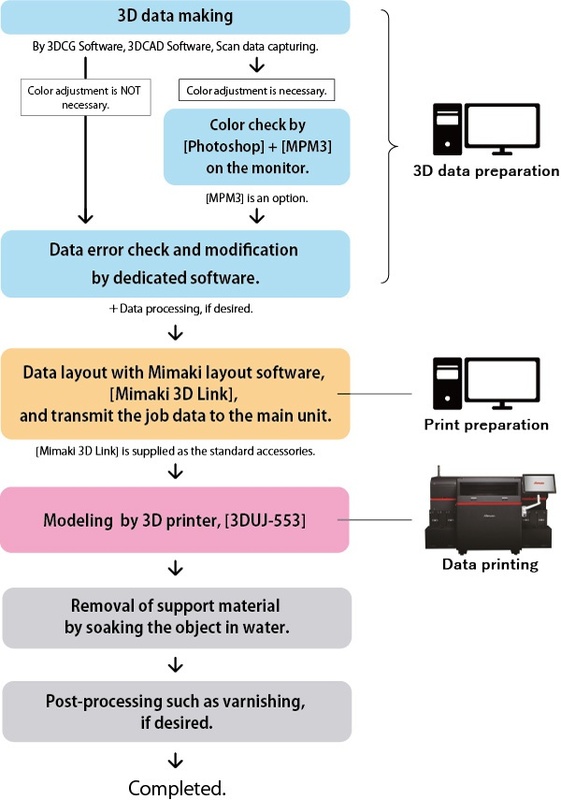 Thanks to Mimaki original wave form control and high precision ink firing technology, amassed in the development of inkjet printer for professionals full of their strict requirements of high quality image, our 3D printer's precise ink droplet placement has achieved as completely aimed. 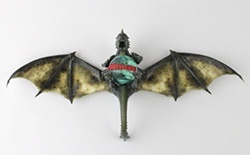 This high accuracy can generate an elaborate modeling focused on detailed finishing. Variable dot function contains sorting to fire 3 dot sizes and selects always the optimal size for modeling. This specified function enables modeling of beautiful gradation of less granularity and extremely high accurate full color. Acrylic resin is compounded in the ink to obtain the equivalent hardness of ABS resin, therefore over coating, drilling and attachment of screws are available. They will give superior weather resistance and sufficient strength to maintain signs fitting with a created object, besides the brilliance of finish being adaptable to use as a final product due to the over coating. Over coating can make a smoother surface and upgrade the weather resistance. It has the strength to bear 5 kg drawing force under tight screwing. 4. Usability in pursuit of "easy fabrication"
1) Water soluble support material gives beautiful finishing with very simple operation. The water soluble substance is applied for the support material utilized together for modeling. Therefore it will be washed away by soaking in water instead of scratching off. It is convenient to be able to remove the support material of delicate designed object without damage. 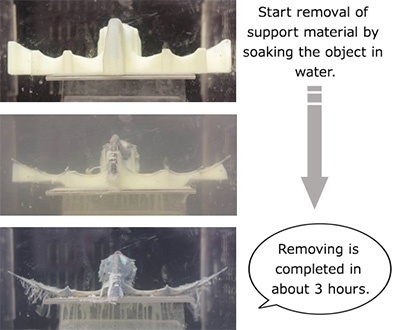 The removing time of support material depends on size and modeling configuration. A space will be formed between the dragon and the ball after washing away the support material there. It will give a design option to rotate the dragon holding ball. [3DUJ-553] applies UV ink curing by irradiation of UV (Ultra Violet). The UV LED of curing source hardly exerts thermal influence to object and start time for lighting-up is not necessary. Long life and power saving can reduce the running cost. 1) Equipment of the ink circulation print head prevents the nozzle clogging. The world's first equipment (*1) with the ink circulation print head as the 3D inkjet printer. 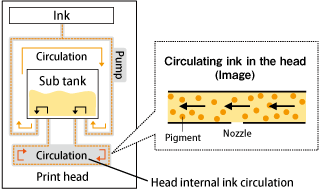 Stable ink firing by the equipment of [Ink Circulation Print Head] for circulating of ink to prevent the ink pigment sedimentation. And this ink circulation system can remove air bubbles causing the nozzle clogging to keep optimizing the best condition of ink jetting. [NCU] as the world's first equipment (*1) to [3DUJ-553] examines automatically the nozzle status by infrared sensor. When it detects a nozzle clogging, [NCU] performs the auto-clean to eliminate it. Detection frequency can be set per modeling data or by time. It forestalls a modeling loss after occurring a nozzle clogging. Monitoring camera is loaded for remote check of modeling status. It allows to reduce modeling losses by a constant monitoring. *2 Only a monitor with calibration executed by MPM3 is available to have a color adjustment.